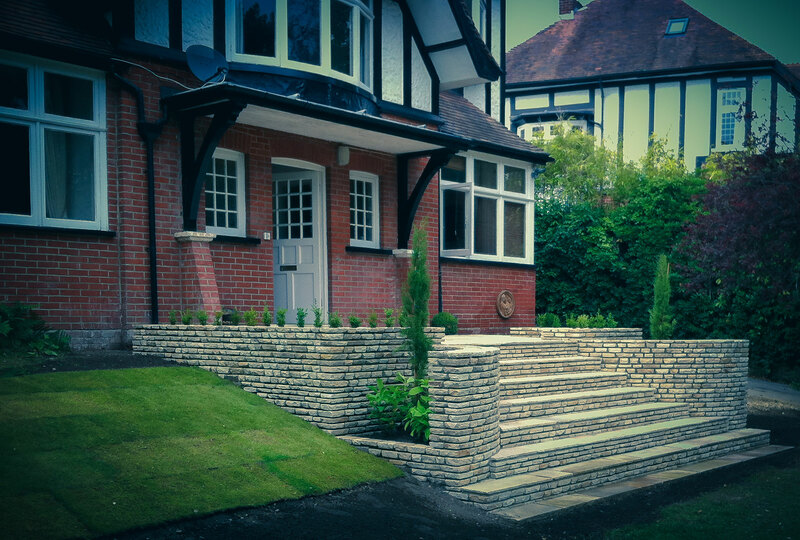 Indian sandstone stonework and patio, opening out onto the front lawn, creating an inviting entrance and feature to the front of the house. 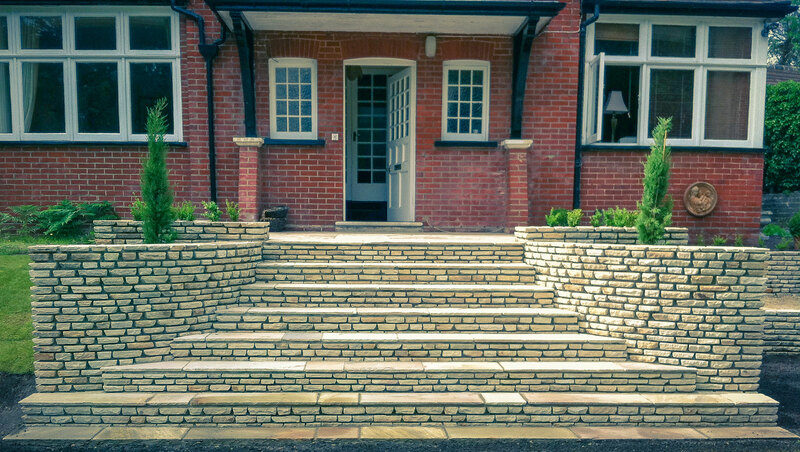 Indian sandstone was used for the stonework and patio, which opens out onto the front lawn, creating an inviting entrance and feature to the front of the house. 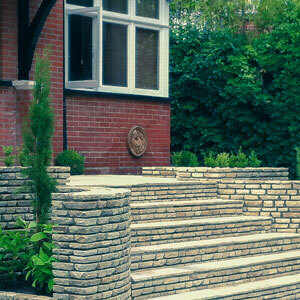 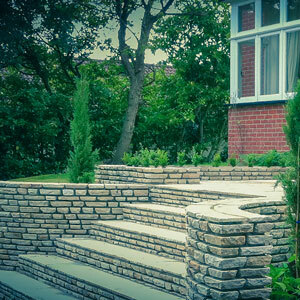 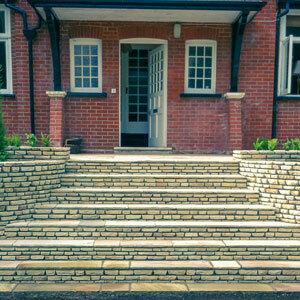 Borders are incorporated into the steps, which are planted with Italian cypress and white hydrangeas.